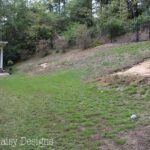 As I mentioned in the Hillside Landscape post, our backyard consists of a small flat area near the house and a cleared hillside that continues up into a wooded area. 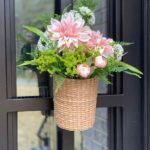 We added some attractive evergreens and ornamental plants from the Southern Living Plant Collection to surround the area and eventually create a visual link between the area below the fence and the wooded area above. I’m happy to report that we have recently had flash flood warning levels of rainfall and have seen no evidence of water breaching the creek bed or any other issues. I would also theorize that the flow of the water is slowed by the flower bed at the bottom of the rock. Some of the water is likely absorbed into the bed as the rest flows along the river rock we placed at the top of the bed. Eventually the water flows out of the opening in the raised bed. 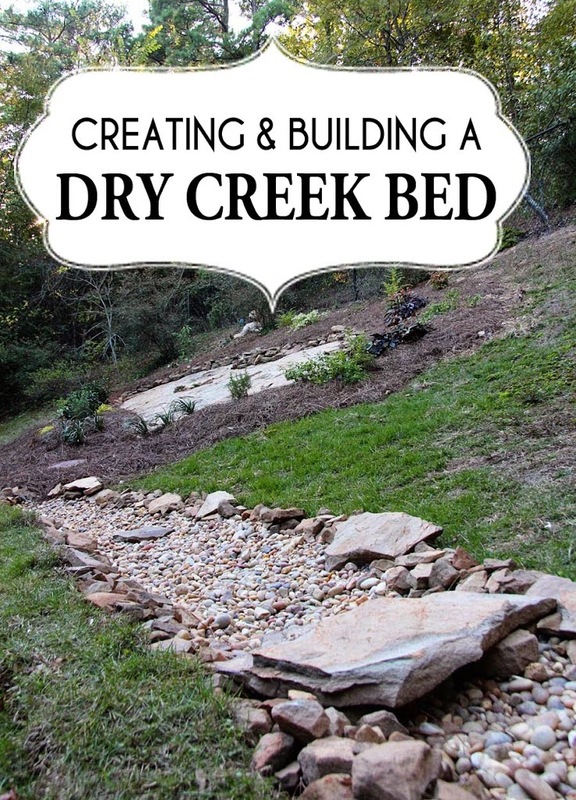 After much research and our own experience I can share these pointers for building a dry creek bed. 1. This is hard labor folks. My husband, who has his technique for removing the layer of grass refined after many years of flower bed prep did all of the digging. I had helped a great deal with the uncovering of the rock above and was happy to let him work his magic. He describes his grass removal technique like removing icing off of the top of a cake. 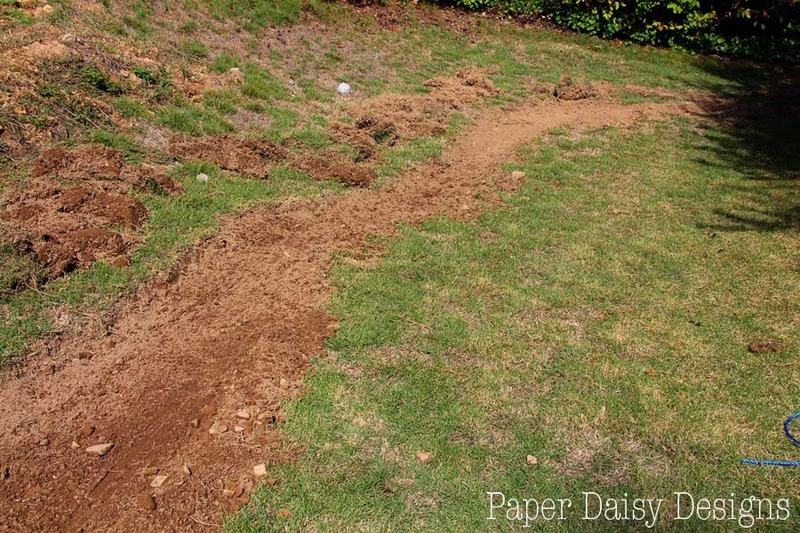 He makes cuts with his shovel horizontally in sections and then lays the shovel nearly level with the ground lifting the root layer of grass vertically and repeats until the desired area is removed. Lugging numerous bags of stone pebbles to their destination in the creek is no small task either. 2. Map your course with spray paint before you dig. 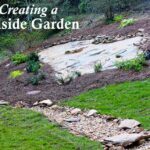 To create a realistic dry creek bed, add small bends as seems appropriate, while leading the water in the direction you desire. Remember to widen the creek as you create turns, mimicking how creeks flow in nature. 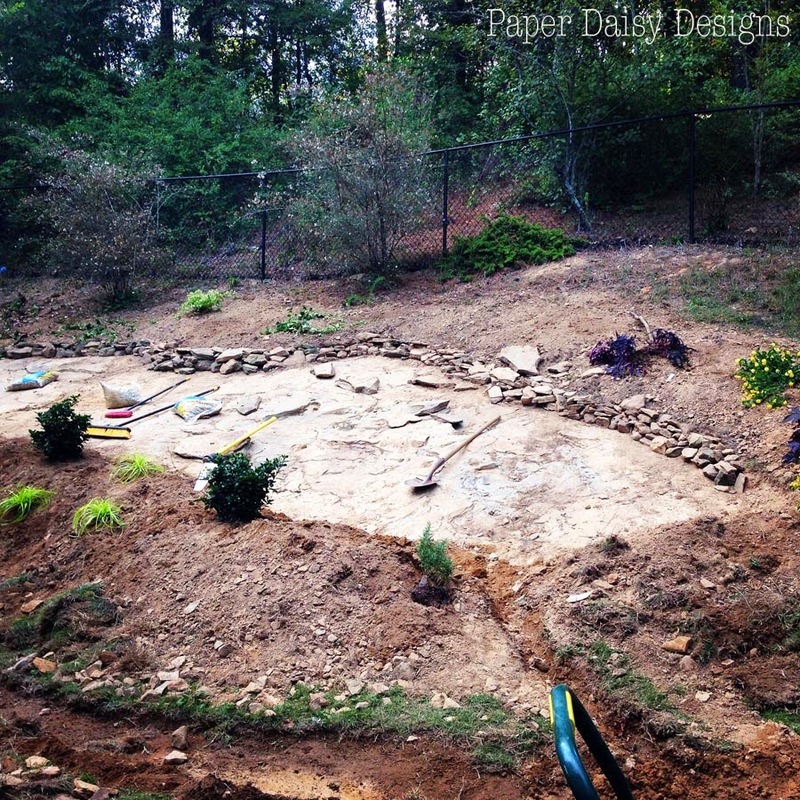 Keep your natural slope in mind as well. To some degree the existing slope built into the backyard for run off was our best guide to the placement of our creek bed. 3. 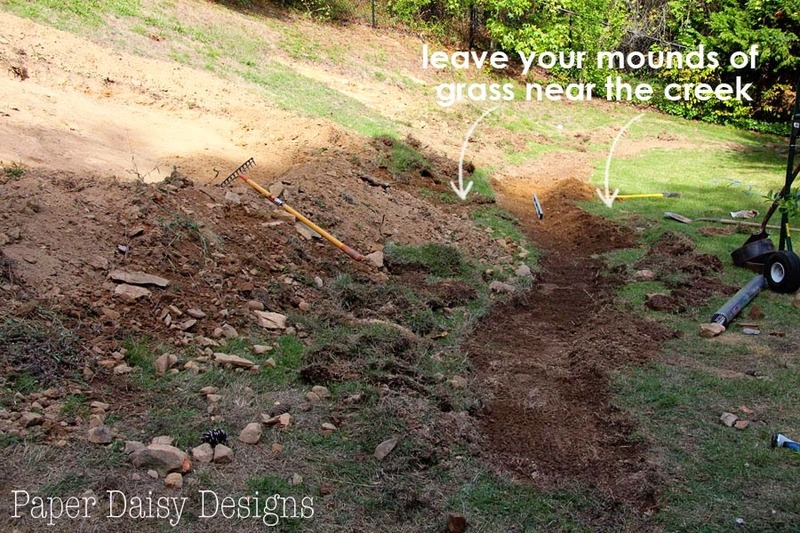 Mound your grass along the sides of the creek bed either as you go, or after you dig. 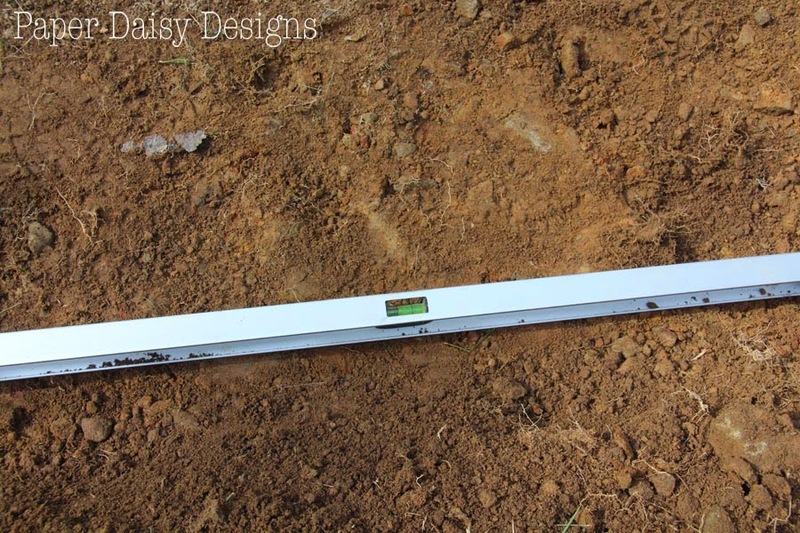 This creates a “mini levee” for your creek bed and reduces the depth you have to actually dig. This was extremely important in our case, because as we guessed in some areas he had to use a pick axe to break up rock to remove obstructions. 6. 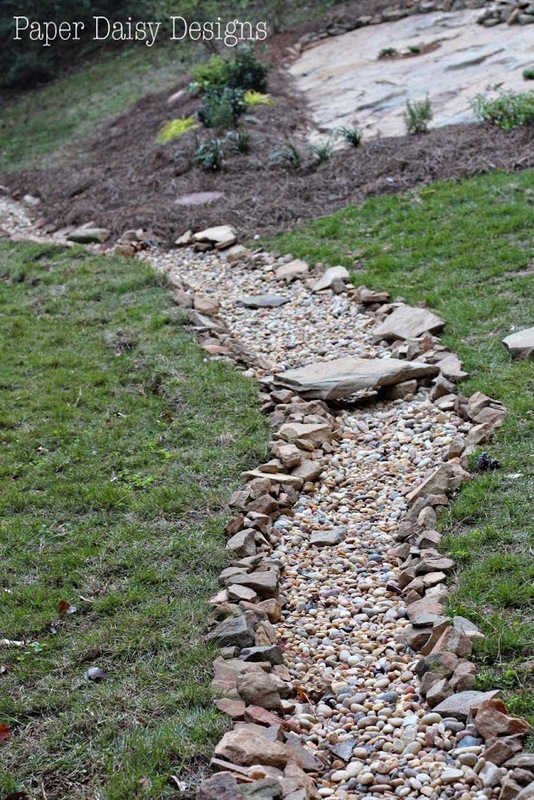 Line the outside edges of the creek with larger stones. Here we were blessed with a natural resource of stone. 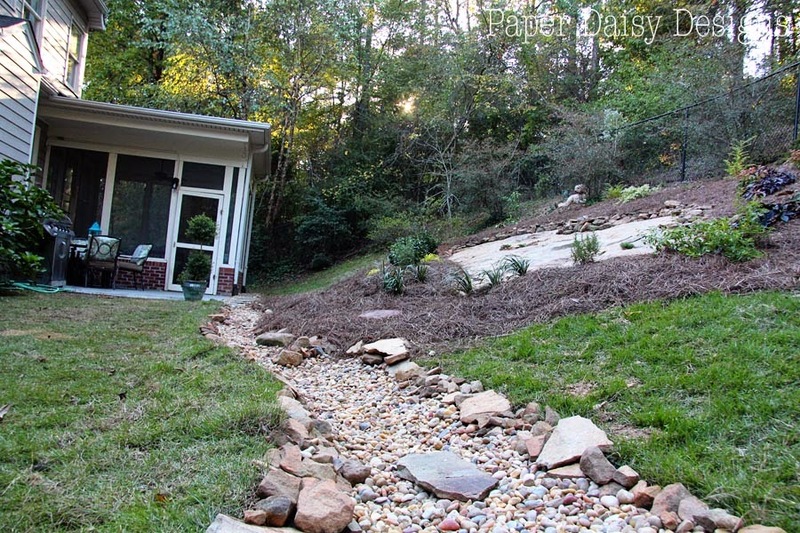 I actually doubted we would have enough stones to line the entire sides of the creek bed. I collected many of the larger stones as we dug out the exposed area of sandstone and the rest I gathered from around the yard. 7. 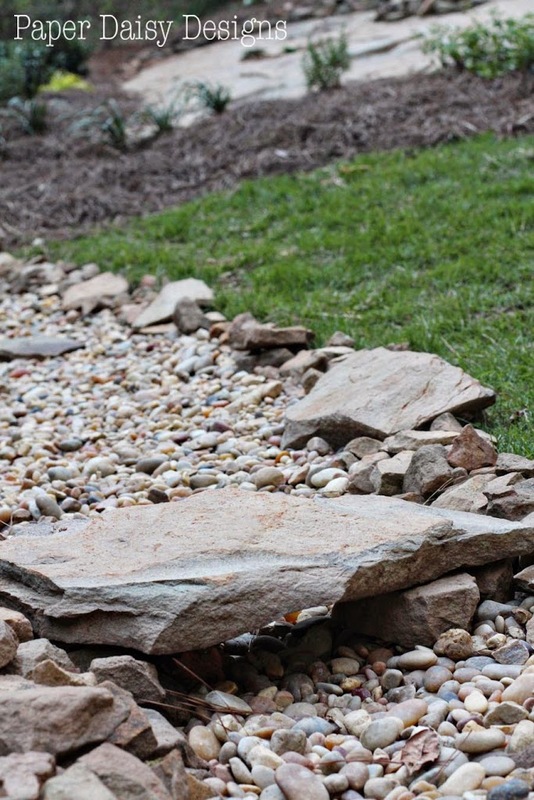 Find a way to tie your dry creek bed into existing landscape or hard-scape. Previously these pavers were stacked tightly two by two along the patio edge. I always felt like they were very random and didn’t like the way they looked. 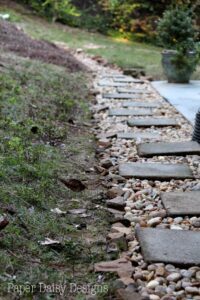 By spacing them in an organic way, surrounding them with the same Calico stone used in the creek bed, they are stepping stones with a distinct purpose. 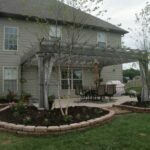 The continuation of the stone across the yard creates a flow that draws your eyes from one side of the yard to the other. 8. 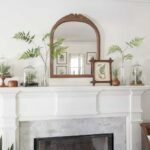 Create even more interest with large, decorative stones. Many examples of dry creek beds I found during my research featured boulders brought in from a stone yard. Given the expense and the difficulty of getting heavy stones up our steep driveway prevented us from doing so. Eventually we may find some viable solution, but for now we are happy with what we had on the property. Not only do they fit in naturally, free is always good! 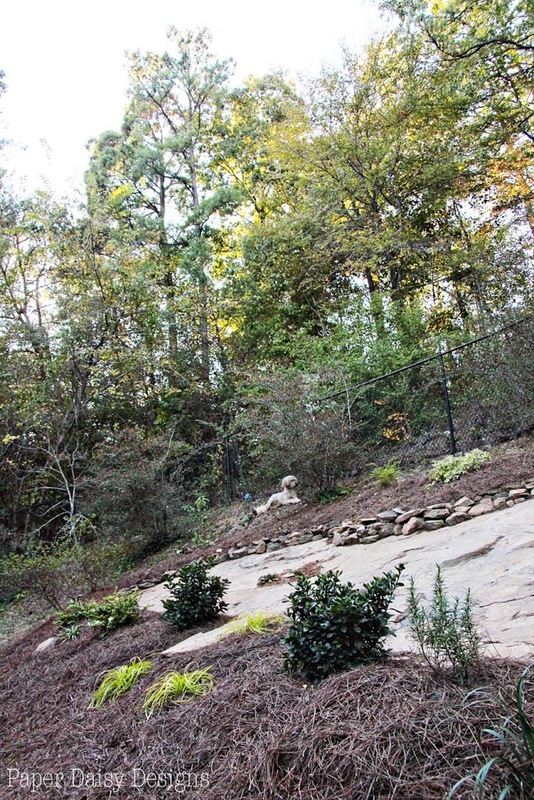 Adding this dry creek bed not only insured we would have proper drainage for our hillside landscape, but it created a visual interest and movement across the yard. This spring we will be adding more plantings to continue to naturalize the area. As always, feel free to ask any questions and let me know if you tackle your own creek bed project! Thanks for the acknowledgment from Dad. Good looking project, can hardly wait to see &quot;live&quot; the finished work. Like how you moved the paver stones! 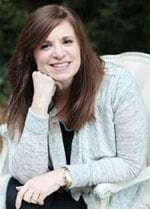 I enjoyed reading about your dry creek and all the work it involved. You did a great job. I too live in Alabama and have been collecting rocks (free) from various locations and incorporate them into my never ending work in progress back yard. Thanks for sharing your tips. I have a dry creek at the back of my yard. Because my house is about four homes down to the left and I capture their water flowing through my yard; I am one house away on my right to a retention pond. Looking back, our builder should have done a better job grading the lots but they didn’t do after years of my soil running off into the neighbors yard and then to the pond, and having a “pool” sitting next to fence, I had landscaper dig out trench across the yard following the natural flow across the yard. I lined the trench with a very high quality landscape fabric (commercial grade) and used those steel staple pins to hold banks in place. We laid pea gravel all along the bottom and let that settle a bit and watched the water flow. Ordered some rocks from local stone supplier and put those on top of pea gravel. So far so good! Because we did layers you can get away with cheaper grade of stone for bottom and middle layers but then get some nicer stone to scatter across the top. This has worked out so well for our drainage issue. After several years of this system being in place, I need to get some larger rock to finish my edges and add / divide some plants. 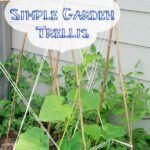 The roots will help stabilize soil and prevent other erosion. On a day where we have very heavy rain, you can see the water rushing over the rocks through and across our backyard. My neighbor next door who is next to the retention pond set up a similar drainage system in his yard to help carry the final water into the pond. We did work with the village and our neighbors to ensure no one had excess water diverting onto another persons property purposely. In our case it was the lay of the land and we all were trying to keep it as natural and not damage the environment. 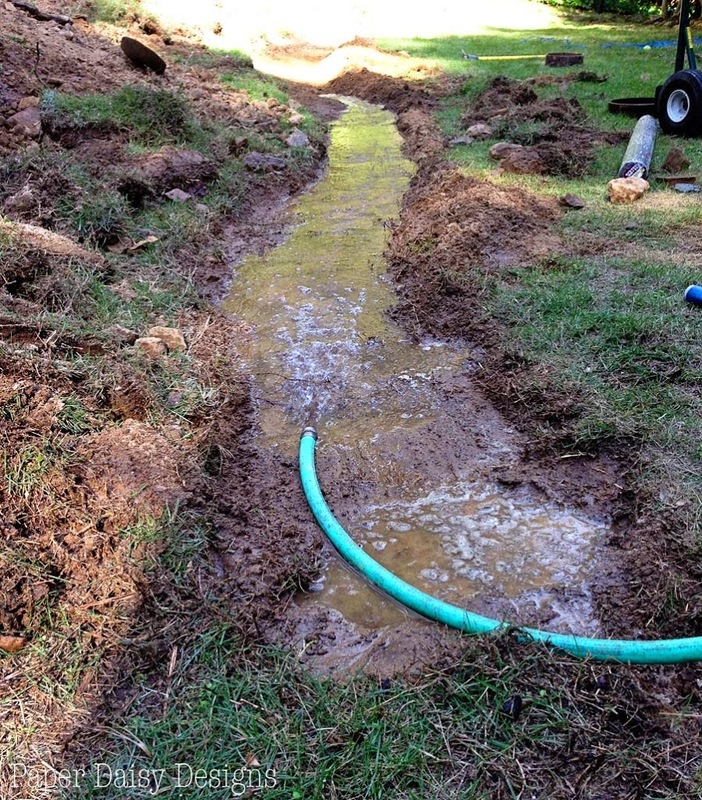 Lots of heavy work but when done properly, looks natural and solves the water problem! 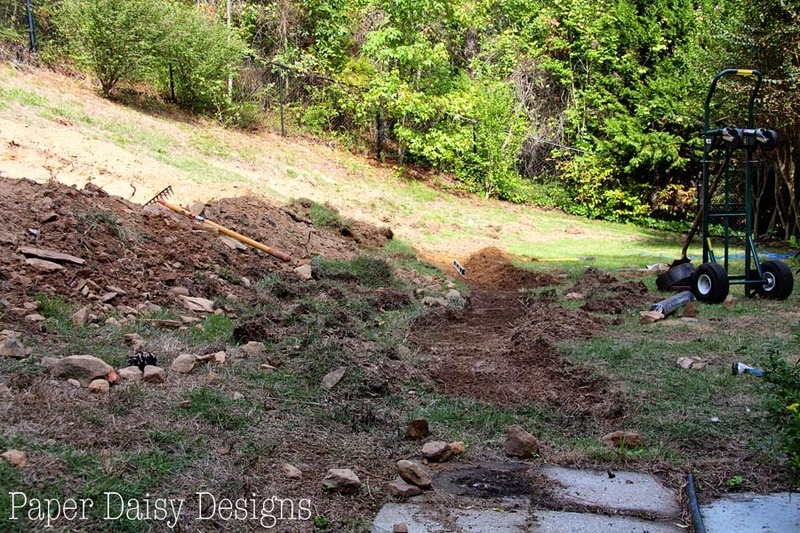 I am building a dry creek bed in my backyard. 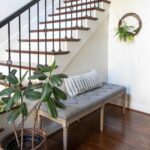 Has anyone ever built one of these without the landscape fabric? 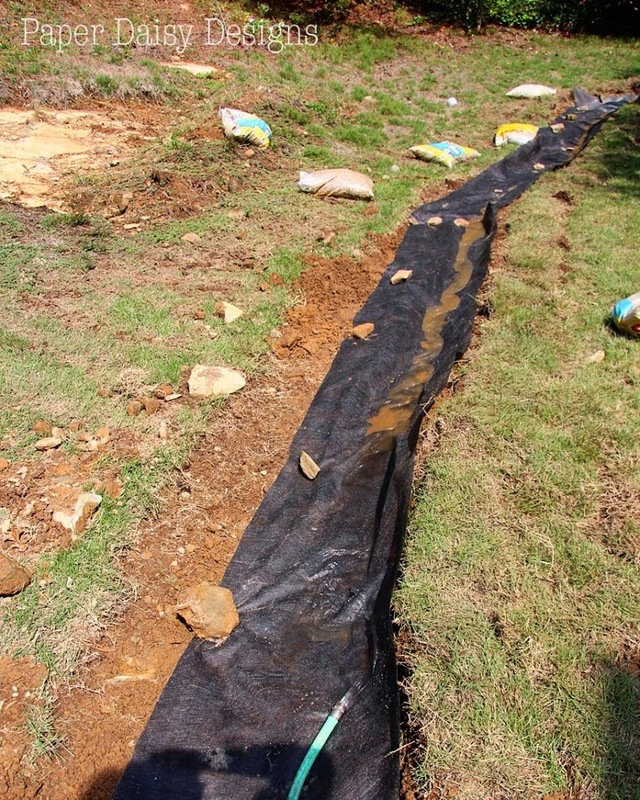 I’m sure you can, but you can avoid a lot of problems with erosion and weeds if you use landscape fabric.